Worries over wasting their doctor’s time, particularly at a time when NHS resources are stretched, may influence when and whether patients choose to see their GP, according to a study led by Dr Nadia Llanwarne, NIHR In-Practice Fellow in General Practice at the Primary Care Unit. In the study, published today in the journal Social Science and Medicine, the researchers, from the Cambridge Centre for Health Services Research, report how the theme of ‘wasting doctors’ time’ arose so often during interviews conducted with patients about their experiences of primary care that they chose to study this topic in its own right. 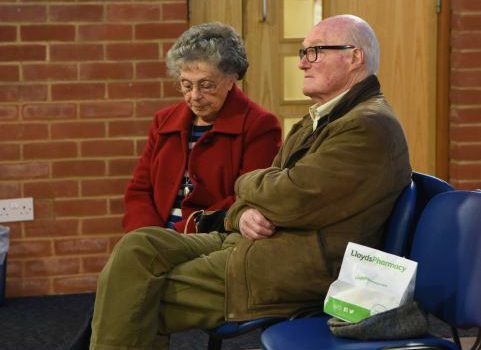 As part of the study, Dr Llanwarne and colleagues filmed patients’ consultations with their GPs and then interviewed 52 patients across GP surgeries in London, the east of England and south west England about their experience. It was in these interviews that the issue of timewasting arose. The researchers identified three threads common to the issue of timewasting present across patients’ narratives in general practice: the experience of a conveyor belt approach to care, the intimation that ‘other patients’ waste time, and uncertainty among patients over what is worthy of their doctor’s time. The authors consider the reasons why people appear concerned about timewasting. Patients spoke of the pressured context in which their consultations take place: the demand on services, the NHS’s limited resources, the lack of time, and busy doctors. Understanding the time pressures that doctors face, patients described how these challenges influenced their decision to see their GP. In an overstretched NHS, time becomes all the more precious, and this has meant that public campaigns often refer to appropriate and inappropriate users. For decades, doctors have expressed frustration that too many patients visit unnecessarily. As a result of these judgments cast upon them, patients voice the pressure to consult only when necessary and speak openly of ‘timewasters’. “Patients are keen to avoid this label, but neither the patients, nor the doctors, are able to clearly define what precise problems might attract such a label,” says Dr Llanwarne. “This is because some patients will present with what seems on the surface a minor problem, but once through the door of the doctor’s consulting room, they may open up about more serious complaints. With some symptoms it may be very difficult for the patient to know whether these are serious enough or not to need review by the doctor.